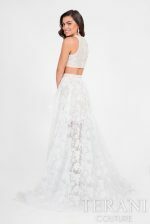 Terani is known for having the top two piece prom dresses in the world. 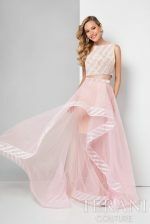 When we talk about prom dresses, the image that is built in our minds is rarely that of a two-piece dress with a separate upper and lower. Dresses are invariably perceived as flowing one-piece garments that you are supposed to wear to occasions. 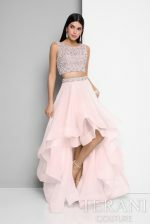 This season, it’s time to break the rule and go for the two piece prom dresses to rock your prom party. You now don’t have the excuse of not finding enough variety in two piece dresses as most of the fashion department stores now stock them be it Saks Fifth avenue, Missesdressy, Promgirl, Nordstrom and Bloomingdales among others. 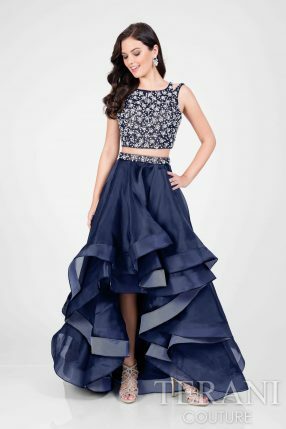 Two-piece prom dresses allow you flexibility like none other. Wearing the dress as you bought is only one part of the advantage you get. Ever heard about mix and match? That’s where two-piece dresses come into play. 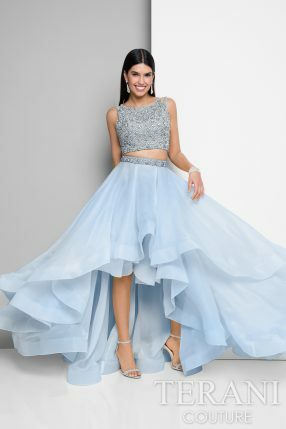 If you have bought a mermaid style strapless two piece prom dress, you can go on to use the mermaid skirt with another of your formal crop top to make a new dress altogether. 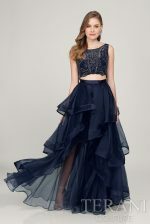 Moreover, the strapless top can be paired with a pleated short skirt to make for a quirky cocktail dress. Therefore, when you buy a two-piece dress, you don’t buy just one dress. The value you get against it in terms of flexibility is unmatched to say the least. Also, you can balance better between huge and small elements. 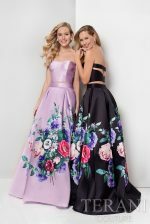 If you have bought an extra long and loose lower/skirt, you can easily balance it off with a minimal and fitted prom dress top. This point draws from the previous one also. 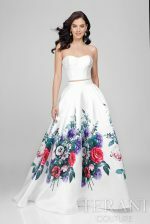 Formal dresses are understandably expensive because of the design prowess and technique that goes into making them. 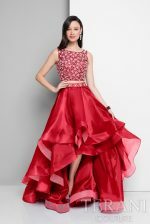 As such, when you purchase a two piece prom dresses that has the ability to be mixed and matched with other wardrobe items, it gets cost effective in the longer run. Instead of a one piece red sparkly prom dress that has more chance of staying hanged in the closet for a long time having you frown upon the whopping amount you spent on it, it is better to spend on a two piece prom dress that has more likeliness of being worn again. Two piece prom dresses are worn around the globe according to specific cultures. 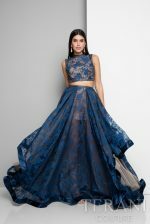 Whether it’s Asia, Africa, Middle East, Australia, Ireland, South America or North America, two-piece dresses have the most cultural variance. 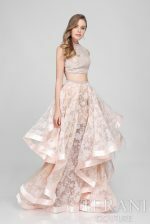 This implies that you have better space and chance to experiment and include elements from different cultures in your two-piece prom dress. For example, with a plain skirt, you can choose an Asian-inspired embellished top. Contrarily, with an African style ethnic skirt, you can go for a sophisticated and sleek top. In short, you have a lot more space to play with your fashion inspirations with two-piece dresses. Also, when it comes to colors, you have so much to experiment with. Instead of opting for the traditionally single colored dresses such as a black, blue or deep green prom dress, you can opt for a color blocked black and neon two-piece prom dress or a contrasting grey and pink two-piece prom dress, which are much more interesting choices. Now that you have gotten hold of reasons why two piece dresses are the hot trend this season, it’s time to hit the department stores in your respective cities, be it Minneapolis, Denver, Austin, Savannah or New York and buy one for your next prom party.